After doing the provision soup a while back I decided to delve a little into other uses for provision a bit. 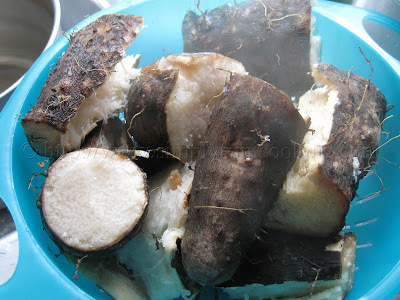 After all, I did explain to you all about the blue food festival held annually in Tobago, which had me in awe at the many recipes people came up with using dasheen (taro). With that in mind I looked at how we used other provision, apart from the traditional way. So today we did yam pie; this recipe really is just a variation of the usual potato pie that we make substituting the yam for the potato. You all may remember that I did a post similar to this one using the green fig, so if you’re still with me so far, we can see that there is a wide scope of provision pie variations. 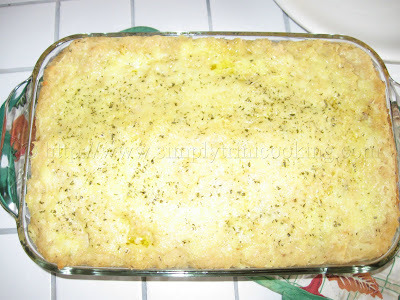 We could have a dasheen pie with or without minced meat or any other meat or how about an eddoes pie or a tannia pie…. 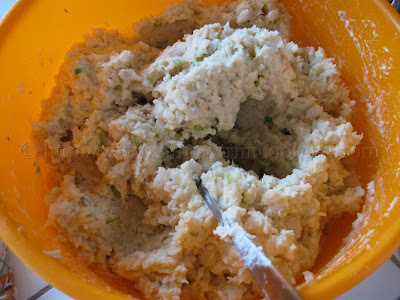 or even mix them all up and make a provision pie (with saltfish). The variations are endless and all it requires is an open mind. 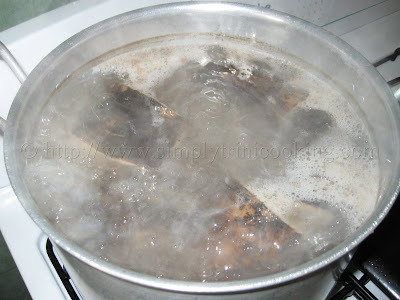 Wash and boil the yam until tender. 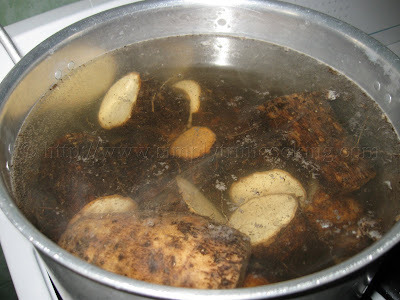 Remove the skin and place the yam in a separate bowl. 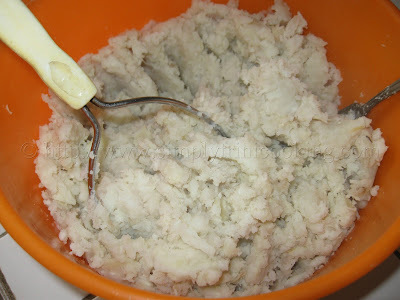 Mash the yam until it is slightly smooth, it is okay to have a little bit of lumps in it. Add the chopped onion, chopped herbs, paprika, and parsley to the yam. 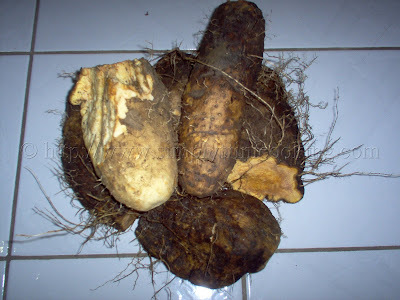 Make the white sauce for the yam. 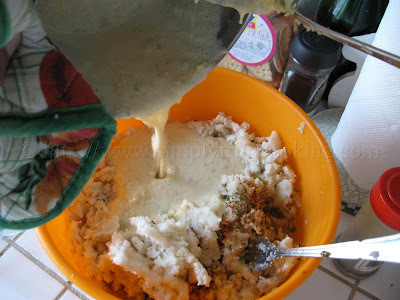 Melt the butter in a sauce pan, add the onion and pimiento. 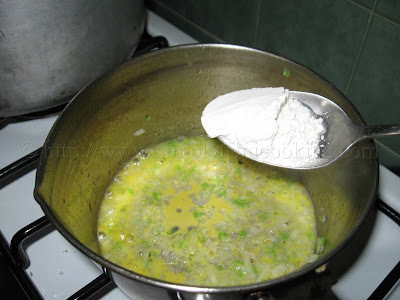 Mix in the flour and pour the milk. 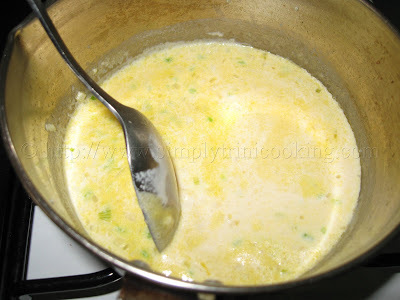 Stir and allow to cook until slightly thicken. 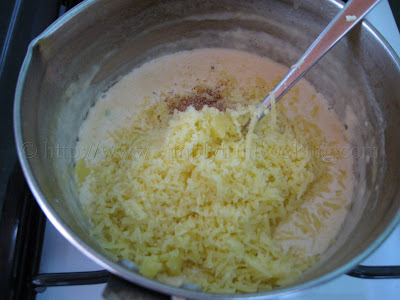 Add the grated 3/4 of the grated cheese and grated nutmeg. Mix well. 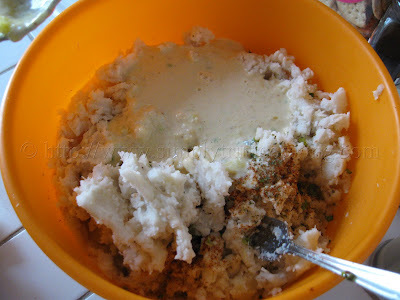 Pour into the yam and mix well. 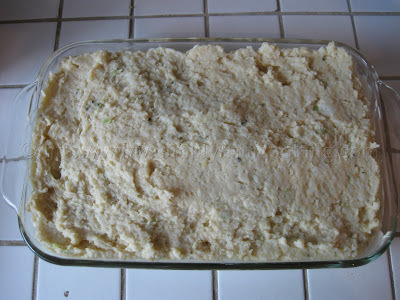 Pour in a greased baking dish. Sprinkle cheese and a little finely chopped parsley over and bake in a preheated oven for about 45 minutes and bake at about 250 degrees Fahrenheit. 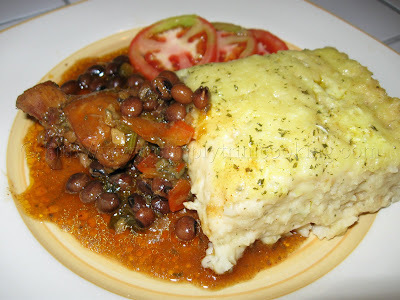 We had the yam pie with a little stew chicken and pigeon peas. That’s it for another post. See you soon and continue to send your requests and comments. Bye! that first shot with the stew is delicious! 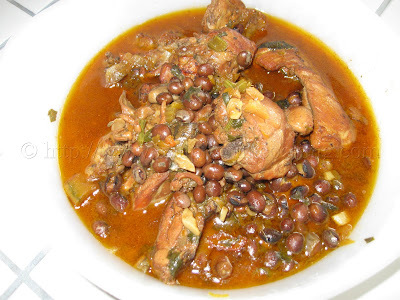 can you make geera yam? This is a new one. Never heard of it. Do you have the recipe? Am a bit confused. What is pimiento, and in the method you mention paprika, which you don’t In the ingredients. How much paprika? I have been making pies from provision for over 45 years so I share your opinion on how delicious they can be and . 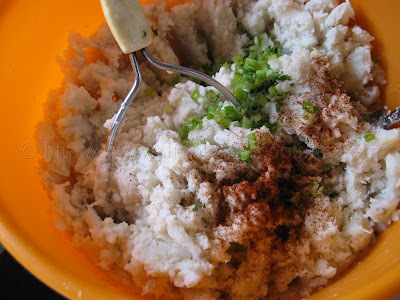 I also use 2 tbsp of very fine breadcrumbs, a pinch of both ginger and cinnamon, freshly ground, in addition to the nutmeg I see included here (the Grenadian in me does not allow me to leave them out) and eggs. 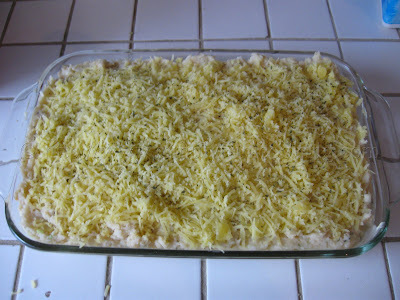 On the top, I sprinkle a mixture of Parmesan and Cheddar cheese in a 1:2 ratio.